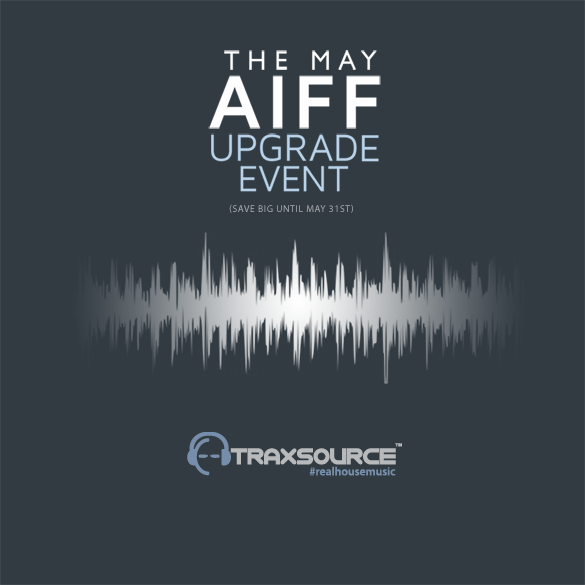 UPGRADE TO AIFF NOW & SOUND LIKE THE PROS! 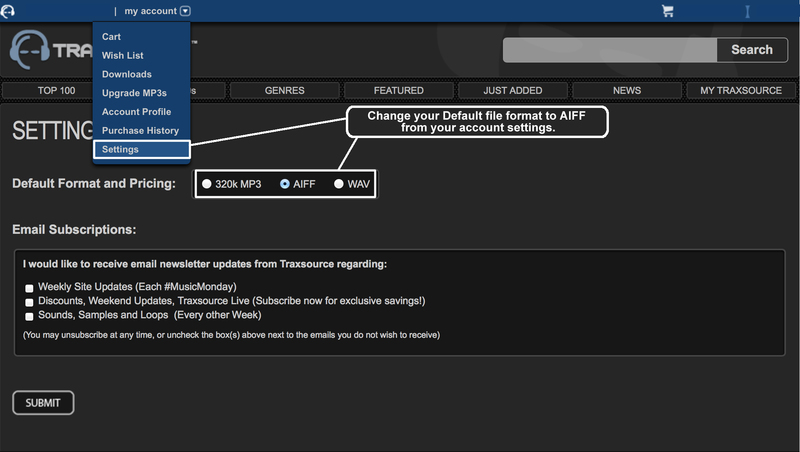 AIFF, the Pro standard for world-class DJs are now available at Traxsource, and for a limited time only – save 35% when you upgrade your previous purchases. Enjoy everything you love about MP3s in a high-definition, lossless AIFF file. 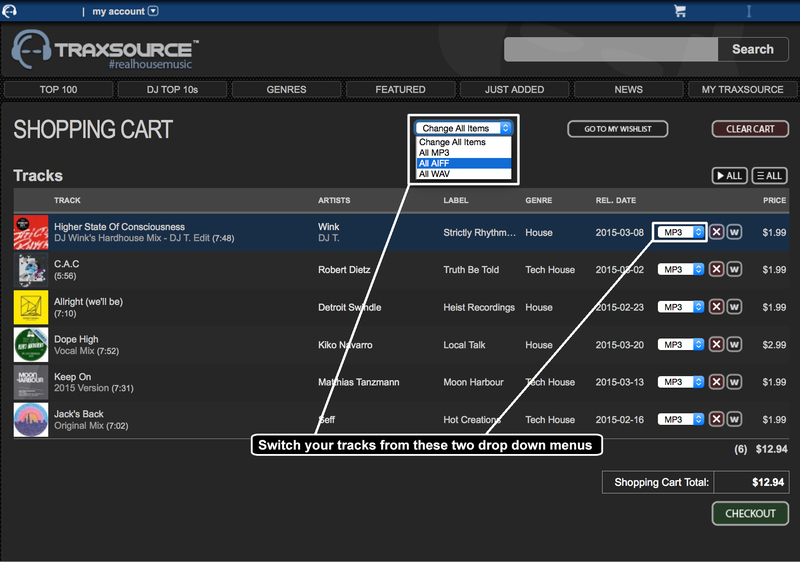 Upgrade for only $0.50 per track during The May AIFF Upgrade Event, right here at Traxsource. PLUS Exchange your previously purchased WAVs to AIFF for FREE! Just visit the Upgrade My Tracks page located in the “My Account” menu or the “Info” menu on the bottom left of the home page. Simply chose the format you want then check out regularly. After you select your upgrades, enter the code below at checkout. Re-use the upgrade code as many times as you would like. Expires on Sunday, 5/31/15 at Midnight, EST. 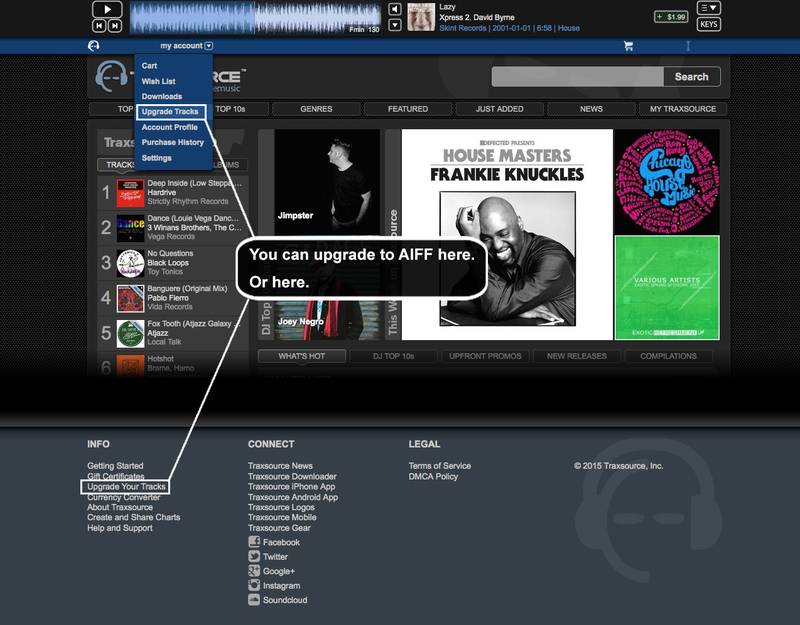 All of your previously purchased MP3’s will have a [Brown] button to upgrade to AIFF. Clicking this button will generate an AIFF file in your shopping cart, and you will see the button turn gray. All previously purchased WAVs will have a [Free] upgrade button. Clicking each button will generate a link in your download list, and you will see the button turn gray. How to Upgrade your Tracks to AIFF. How to select AIFF format in your Cart. How to select AIFF as your default file format. For more info on downloads. Steve Bug prefers AIFF over MP3 & WAV. Here's why.